Too often we hear of elderly people falling and breaking a hip or becoming very bruised, limiting mobility and having psychological consequences. We have sort of come to take it as a natural pitfall (pun intended) to aging. A new study in Sweden suggests that many more falls and subsequent injuries occur in those who are regularly taking common prescription medications. The three-year study involved almost seven million people over sixty-five years of age. 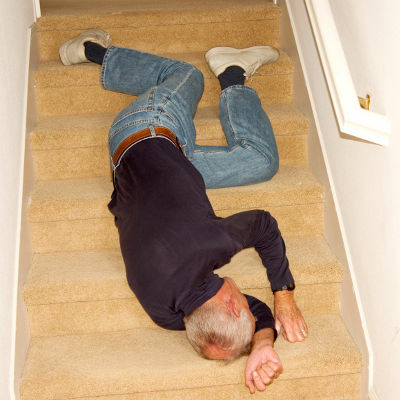 Of those, 64,399 were admitted to a hospital for treatment of injuries sustained as the result of a fall. Researchers identified the top twenty most commonly prescribed medications and found that half of those significantly increased the risk of falls. Most of those were prescription medications affecting the central nervous system and fell into the categories of opioids and antidepressants. Other drugs that were indicated as contributing to falling were those for ulcers, acid reflux, calcium, vitamin B12, and analgesics. Cardiovascular drugs did not pose a greater threat of injury. Many seniors take pharmaceuticals for a variety of physical conditions. The risks have to be weighed against the benefits. In the case of opioid use, the prevalence of physicians’ prescriptions in the United States is on the rise; Americans consume twice as many of this type of drug than any other country in the world. Opioids are morphine-like and create a high in the user (e.g., Percodan, Demerol). They can be addictive and once the body becomes tolerant of the current dose, more of the drug is needed to achieve the desired effect. Because of these factors, abuse of opioids is much more likely than other pain relievers. This is especially worrisome in seniors whose overall health and stability may be already compromised. Antidepressants are so often prescribed that one study found thirteen percent of American adults take them, with as many as twenty-five percent of women aged fifty to sixty-four. This astounding statistic gives us a very serious problem to consider: how can/should it be that so many people experience such profound depression as to require a pharmaceutical to get them out of bed? This is a societal issue and one that should be treated as any other condition that affects so many people: fix the problem, don’t mask it with drugs. There are natural foods that can combat depression (other than chocolate, the most obvious choice). Maintaining an active social life, developing meaningful relationships, getting enough good-quality sleep, pursuing an occupation you enjoy, eating healthy food, taking up a hobby for a creative outlet, engaging in regular exercise, exploring our spiritual selves, and working toward being financially secure are all ways we can help ourselves achieve contentment in life. Adopting a fulfilling lifestyle while young will extend its benefits into old age, keeping us healthier in body, mind, and soul and obviating the need for many pharmaceuticals. Aging doesn’t have to be a horrible experience if we accept and recognize how we can best live with grace in good health.